Trump; image by Gage Skidmore, via Flickr, CC BY-SA 2.0, no changes. The government’s been shutdown for nearly a month. While the Senate’s expected to vote on resolutions later this week, neither proposal is expected to pass. The Senate will hear two separate proposals Thursday, both intended to re-open the federal government and both widely expected to fail. One of the votes, writes CNN, will be on a proposal backed by Senate Majority Leader Mitch McConnell. The Kentucky Republican’s offer meets criteria set by President Donald Trump for passage. Earmarking $5.7 billion for a border wall, the proposal will grant temporary protections to some legal and unauthorized immigrants. Trump’s already offered a three-year extension for recipients of the Deferred Action for Childhood Arrivals program. Along with giving Dreamers a temporary reprieve, it’d maintain a similar extension for El Salvador, Haiti, Nicaragua and Honduras nationals who are living in the United States under temporary protected status visas. Last year, President Trump formally rescinded DACA and pulled TPS protections for hundreds of thousands of Latin American migrants, many of whom have been living in the United States for decades. Democrats have repeatedly rejected any compromise that includes funding for the commander-in-chief’s long-promised wall along the U.S.-Mexico border. Immigration advocates say they’re not surprised. According to the Huffington Post, McConnell’s bill poses similar cause for alarm. “This bill includes the most extreme changes on asylum that I’ve ever seen,” said Immigration Hub director Kerri Talbot. Under the GOP bill expected to move to the floor this week, minors who apply for asylum will face stiff penalties for filing applications later deemed frivolous. They could, among other things, be barred from ever filing another asylum petition. The other vote, CNN says, will be on legislation already passed by the House. It largely leaves issues of border security for later, providing token funds for enforcement without a dedicated fund for a wall. Since either proposal would need 60 votes to pass, both are expected to fail. Democrats rejected Trump’s last deal almost as soon as it came on the table. Similar to McConnell’s current proposal, it offered some protections for formerly-protected immigrants. Trump also stated his willingness to cut down the length of a border wall as well as the definition of what constitutes one. Speaker of the House Nancy Pelosi called the proposal a ‘non-starter” and essentially redundant. “Unfortunately, initial reports make clear that his proposal is a compilation of several rejected initiatives, each of which is unacceptable and in total, do not represent a good faith effort to restore certainty to people’s lives,” Pelosi said. “It is unlikely that any one of these provisions alone would pass the House, and taken together, they are a non-starter. Trump, in the eyes of the political left, is doing little more than offering to temporarily amend crises he engineered while in office. 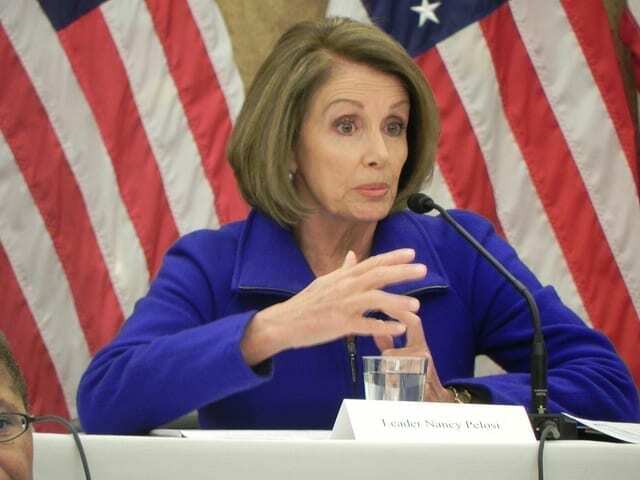 Rep. Pelosi indicated that Democrats want ‘smart, effective border security solutions,’ including more advanced technology and the filling of outstanding vacancies within the enforcement sector.